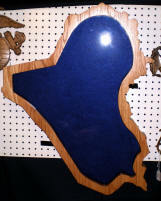 The Colonial Shadow Box can fit a 3′ x 5′, 4′ x 6′ or 5′ x 9′ flag. 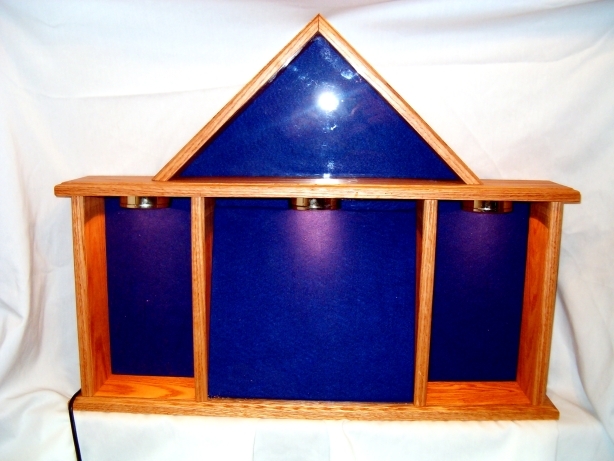 Case was designed to house the Lone Sailor and the Chief’s Statue in the wing compartments. 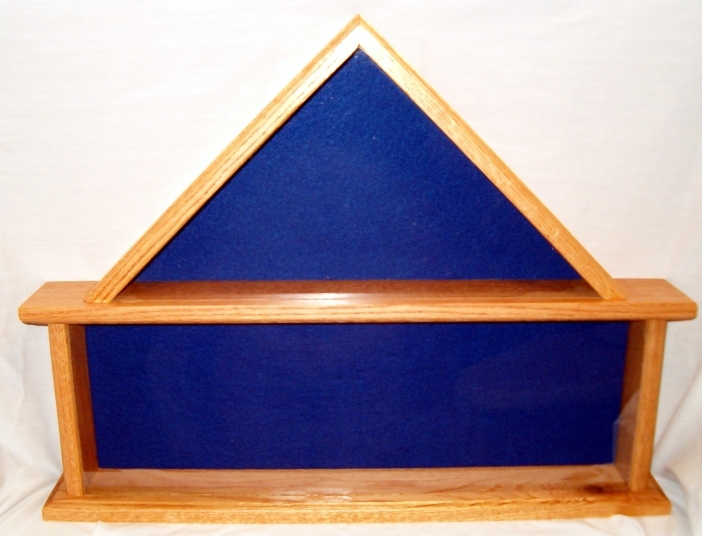 Overall award compartment is 28″W x 11″H. Please specify flag size when ordering. Please allow 2- 6 weeks for assembly and shipping.